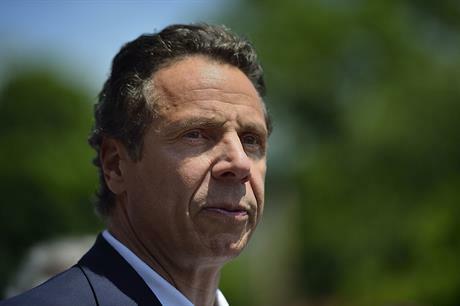 UNITED STATES: New York governor Andrew Cuomo has called for the 90MW South Fork project to proceed and committed to develop 2.4GW of offshore wind by 2030. Governor Cuomo set a target for New York state to be powered by 50% renewables by 2030. Continuing this, Cuomo has called on the New York State Energy Research and Development Authority (NYSERDA) to put together a report "to determine the most rapid, cost-effective, and responsible pathway to reach 100% renewable energy state wide". As part of his plan to reach the goal, Cuomo called on the Long Island Power Authority to approve the 90MW South Fork project being developed by Deepwater Wind. He also advised NYSERDA to aid development of the 800MW first phase of Statoil's New York offshore wind zone "to ensure the project delivers power cost effectively". Norwegian developer Statoil won the rights to the New York offshore development zone in a marathon auction round in December 2016. After 33 rounds of bidding, Statoil agreed the lease of the site for $42.5 million. Cuomo has also commissioned an Offshore Wind Master Plan to be completed in 2017, which lays out plans to achieve 2.4GW offshore wind by 2030. "The State will ensure that the visual impacts of offshore wind turbines will be minimised through appropriate siting. New offshore wind turbine foundation technologies will allow construction in deeper water, further offshore and out of sightlines from the coast," the Governor's office said.